Disposable Cubicle Curtains are treated with Biosafe anti-microbial formulation and are fire retardant. 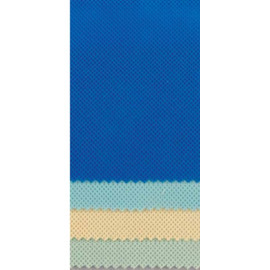 Available in 4 colours at a size of 7500 x 2000mm, suitable for cubicle track lengths of 5.75m. Supplied with Easy Load Gliders, which are compatible with cubicle tracking fitted with curtain removal points such as Movatrak. Easy Load gliders dramatically speed up change-over time, which can provide real cost savings in labour overheads within hospital environments. 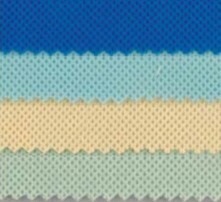 Below are the four colours which are available. For precise colour matching ask for a fabric sample. 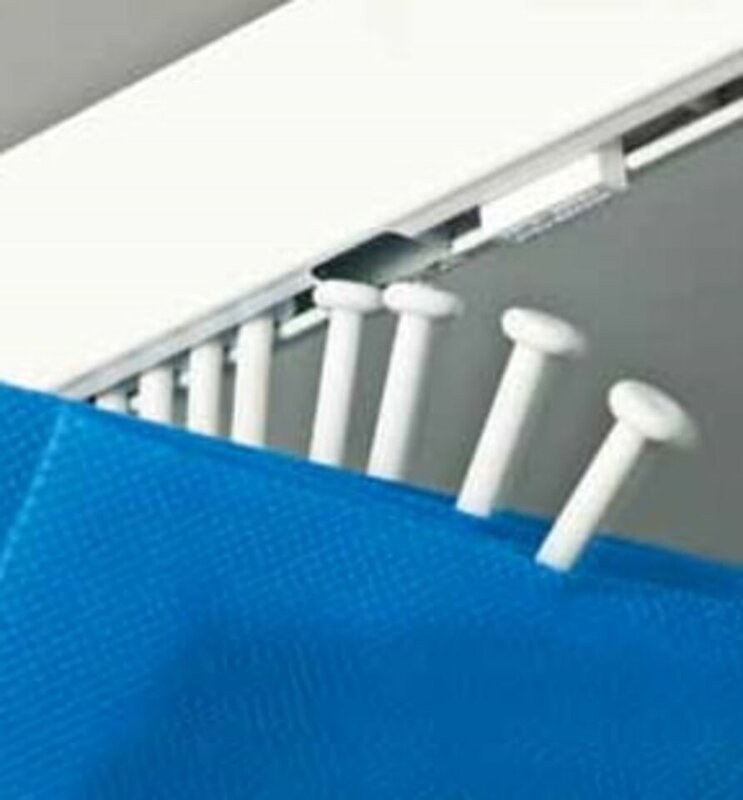 The Easy Load Glider is compatible only with cubicle tracking with curtain removal points, such as the Movatrack system. 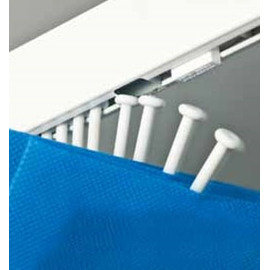 Curtains can be taken down or re-hung extremely quickly, with the integral gliders simply slotting in place. ü Suitable for track lengths upto 5.75m, 2m curtain drop. ü Easy and quick to install - Especially the easy fit curtains. ü Easily trimmed to suit smaller widths and drops. ü Fitted with self-auditing labels, showing the date the curtains were last changed. ü Equipped with reinforced eyelets which help prevent tearing(standard model). ü Compatible with most tracking systems. ü Permanently pleated as part of the manufacturing process. ü Are a fraction of the cost of conventional hospital cubical curtains. What are Disposable Cubicle Curtains? Disposable Cubicle Curtains are standard sized cubicle curtains which are increasingly being used by NHS trusts as an alternative to conventional machine washable cubicle curtains. Why would a Hospital opt for Disposable Cubical Curtains? Offer significant savings in laundry and fitting costs. Look fresh and clean in comparison to repeatedly washed and used conventional curtains.